Offer valid for round trips only, and only on standard class fares. 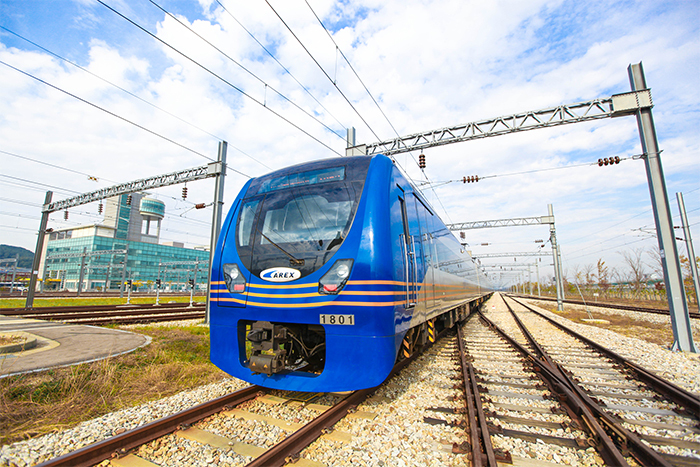 The Airport Express is the fastest way to get to the city and takes passengers to Central in just 24 minutes! Quick and comfortable, trains depart at about 10-minute intervals from 05:54 to 23:28 and approximately 12-minute intervals from 23:28 to 00:48 daily from HK International Airport. The Airport Express offers more spacious and comfortable trains and stations than other MTR services. On the trains, there is a baggage hold beside each door, and each seat is equipped with in-seat loudspeakers for listening to current news, advertisements and announcements showing on the LCD television. Passengers taking the Airport Express can enjoy the free in-town check-in service in Hong Kong and Kowloon Stations. They should check in between 90 minutes and one full day ahead of their scheduled flight departure time.